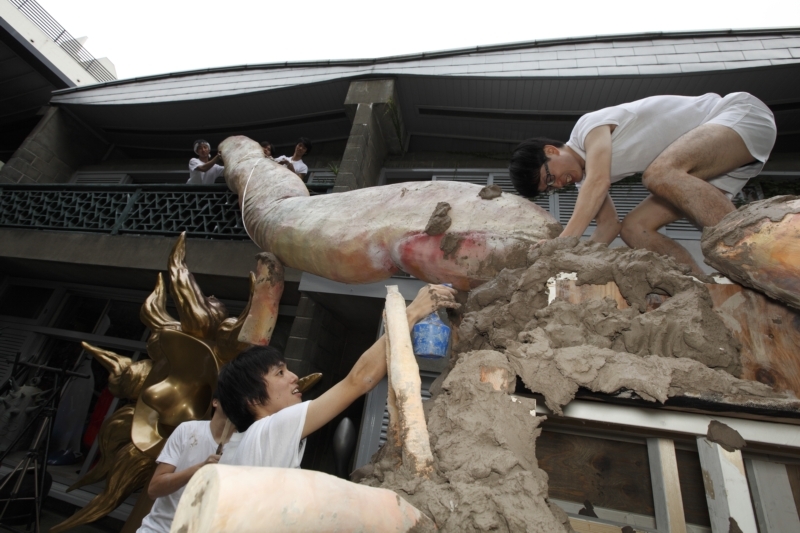 Finger sculpture is a new way of creation using a finger shaped object and molded themselves in it. 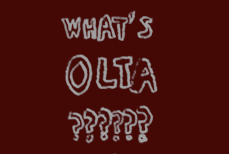 This is a new style of sculpture presented by OLTA. 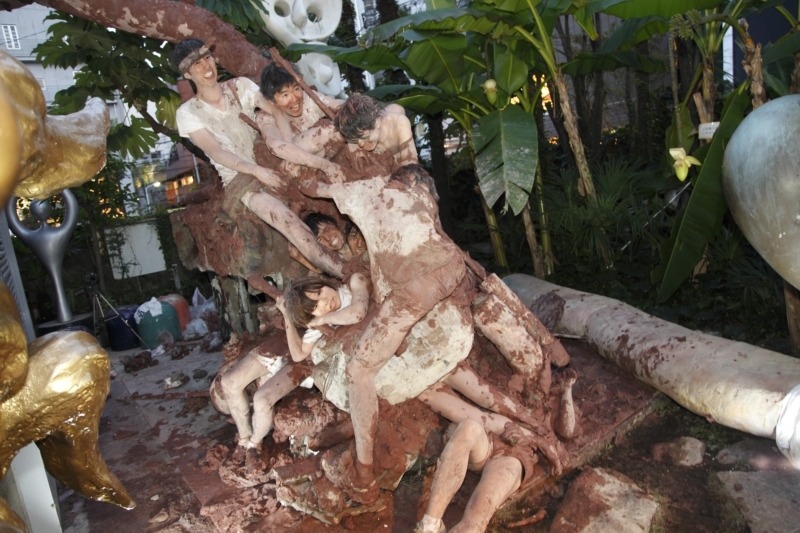 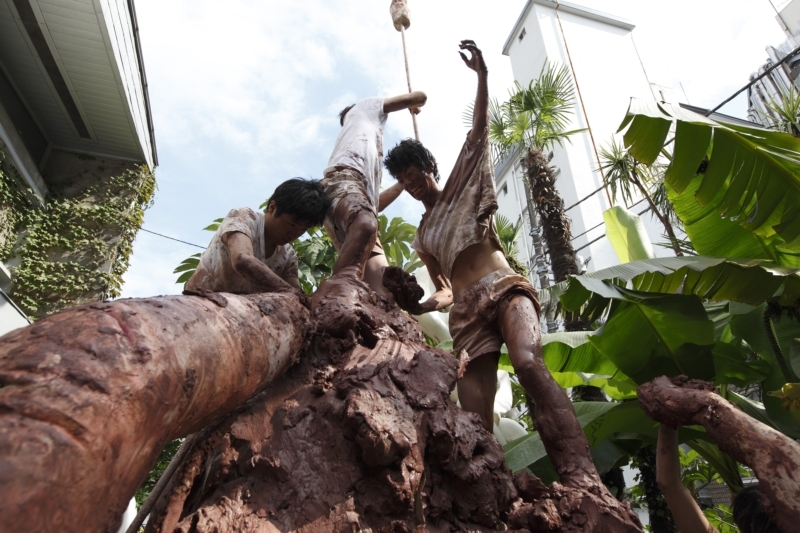 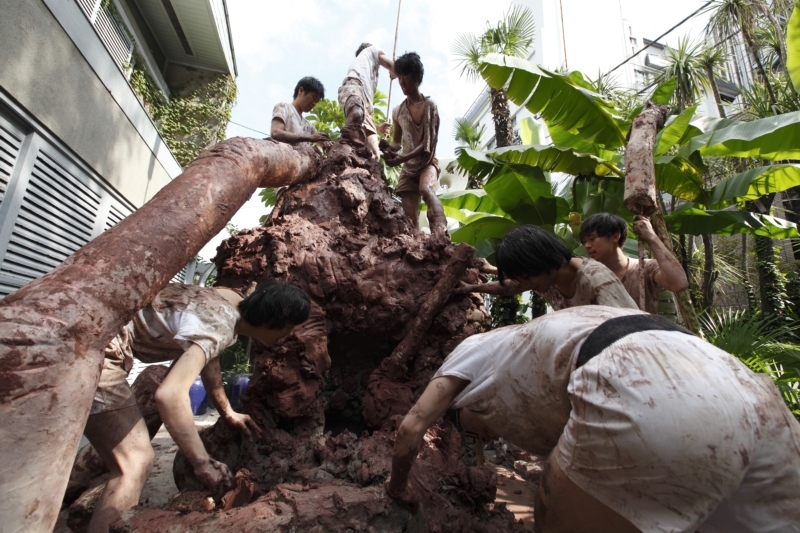 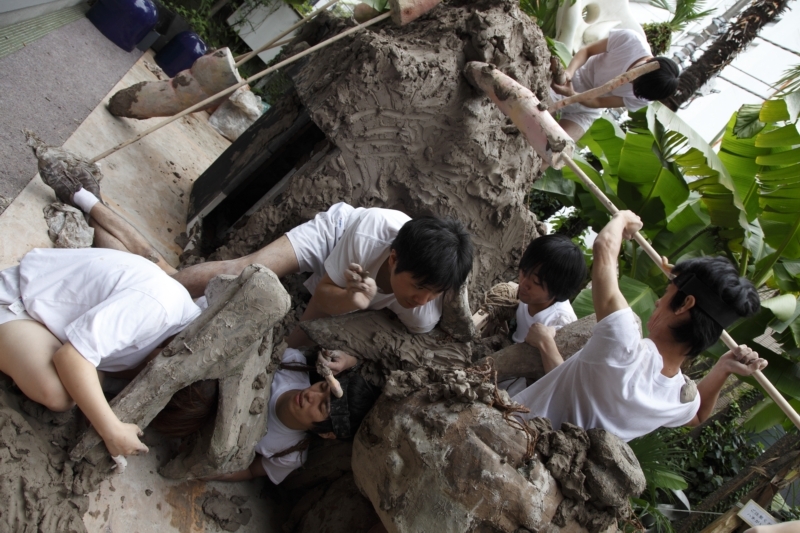 They show the whole process of production to public and to do so, it is considered as a performing art and an artwork. 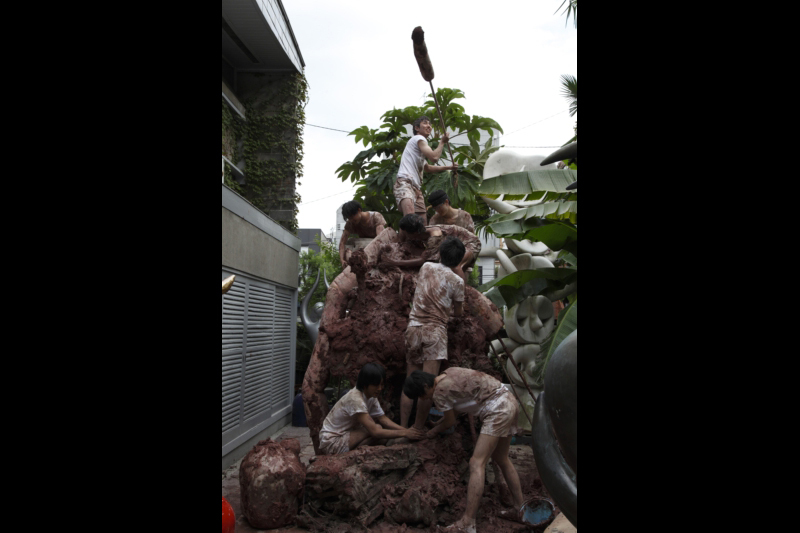 With finger sculpture, OLTA declare the end of the Stone Age of sculpture and put the dour determination on self-sculpture created. 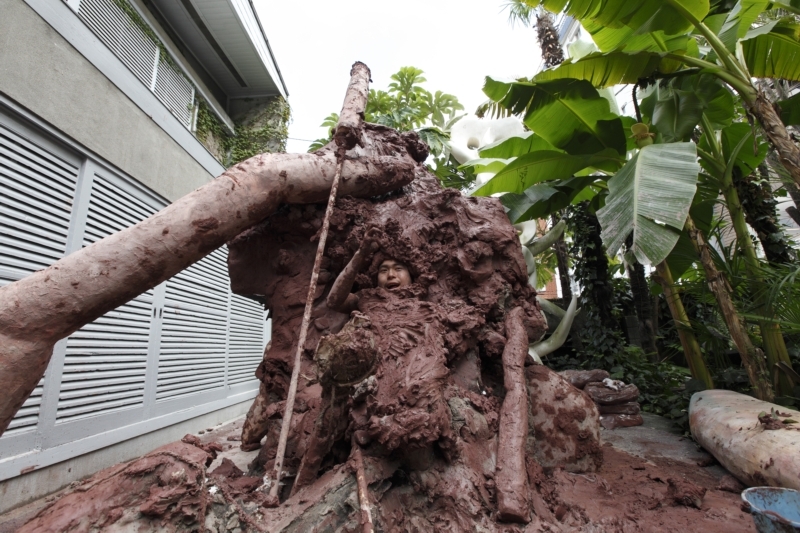 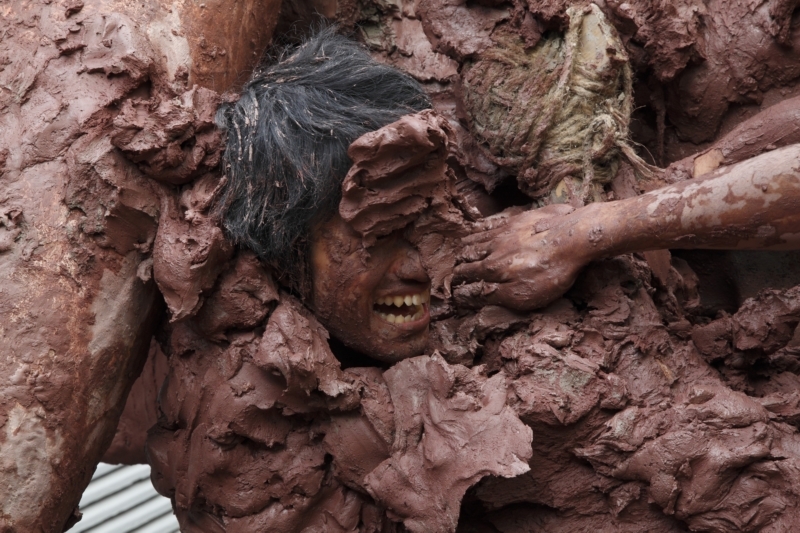 The sculpture confronts the self-portrait of Taro Okamoto, who once declared the end of Stone Age of painting, at the museum.